Matt Bomer’s workout shows you how to get a ripped body. Starring in Magic Mike XXL, American Horror Story and White Collar, Bomer has to stay in amazing shape. For Magic Mike, Bomer knew he had to find the right trainer, in order to bulk up his upper body. 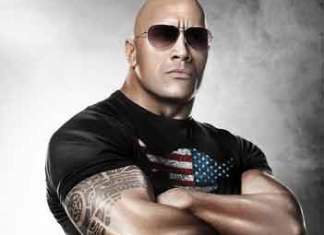 After all, he was going to have to compete with the physiques of Channing Tatum and Joe Manganiello. So, Matt Bomer tapped personal trainer Ryan Farhoudi for help. 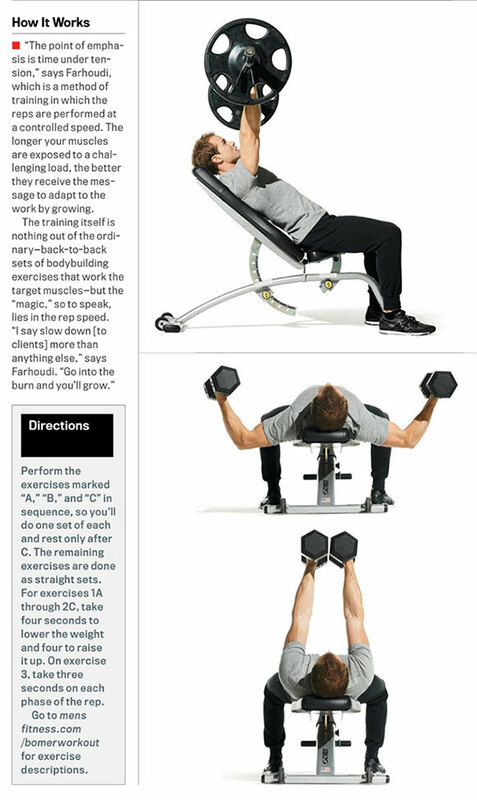 Farhoudi provides Bomer’s workout routine, along with his “Time under Tension” philosophy in the latest issue of Men’s Fitness. The Matt Bomer workout routine focuses on something called “Time under Tension.” The goal here is to maximize how much time your muscles strain, under a heavy load. The emphasis is time under tension. I say slow down more than anything else. Get into that burn and you’ll grow. Notice that you 1 “A-B-C” and 2 “A-B-C” as a superset. Do one set of each exercise, then immediately go onto the next exercise in the superset. Rest after all 3 exercises are done, and repeat it all again. It’s all about feeling that burn, if you really want to grow. 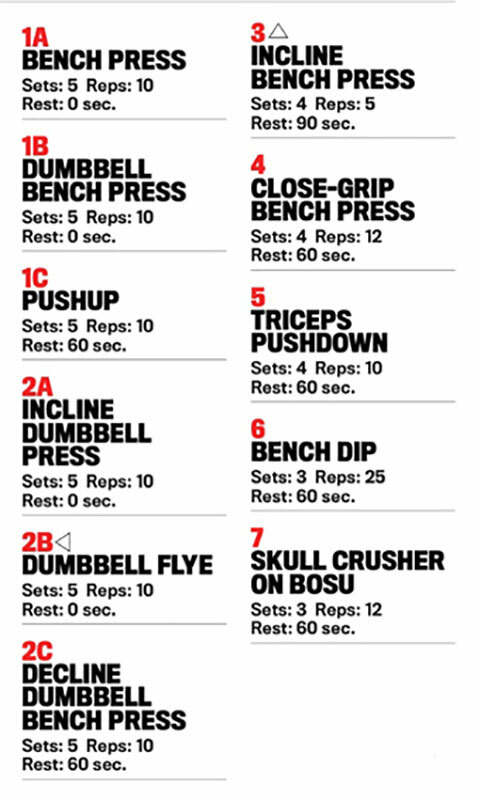 Bomer’s workout is full of back-to-back supersets, much like fellow actor Joe Manganiello’s workout. This technique will bring you on your way to having a ripped body. It worked for Matt Bomer, now it’s time for you! Matt Bomer’s greatest challenge was Magic Mike. But, he adds American Horror Story also provided motivation to be in great shape. If you mix a protein with a starch, it’s going to significantly increase the time it takes for your body to break it down. Most meals combine a starch, protein and a vegetable. Fruit is eaten alone, 30 minutes before or after a meal. High Protein, but No Bread (Turkey Burger’s without the bun). Lots of Green Vegetables, Chicken & Sweet Potatoes. To be naked tomorrow at 9am for a love scene with LadY Gaga. So, maybe it’s not a good time right now, to eat french fries!